Elizabeth is an Energy Intuitive who can read people’s energy anatomy from a distance as well as in person. Her focus is on the energy of emotions. She utilizes the wisdom of traditional Chinese medicine principles in conjunction with Human Needs Psychology to help her clients understand what is behind their emotions and disrupted habitual energy patterns. This awareness leads to the release of limiting beliefs and the correction of these patterns to allow her clients to heal and thrive. Besides using her intuitive energy gift, Elizabeth has a well-rounded background to support her client’s body, mind and spirit. She studied human nutrition at the American Heath Science University. 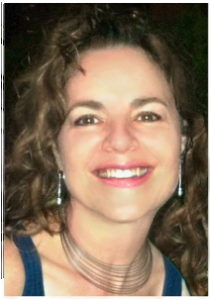 She has trained extensively with the fabulous Donna Eden at Innersource, becoming an Eden Energy Medicine Clinical Practitioner. She also studied Strategic Intervention Coaching and Human Needs Psychology from acclaimed psychologist Cloe Madanes, as well as Medical Intuition with Dr. Mona Lisa Schultz and Caroline Myss, Ph.D.
As an avid learner and researcher, Elizabeth also writes Energy Medicine protocols to correct people’s commonly disrupted energy patterns. She is currently developing protocols to correct imbalances of the human sensory systems.